Just like we enjoy cozying up with our Cabernet Sauvignon when the leaves begin to turn and temperatures cool, a wine-colored lipstick is the perfect pairing for fall and winter. A red lip always makes a statement, but if you're looking for something a bit more daring with amped up attitude, go darker. 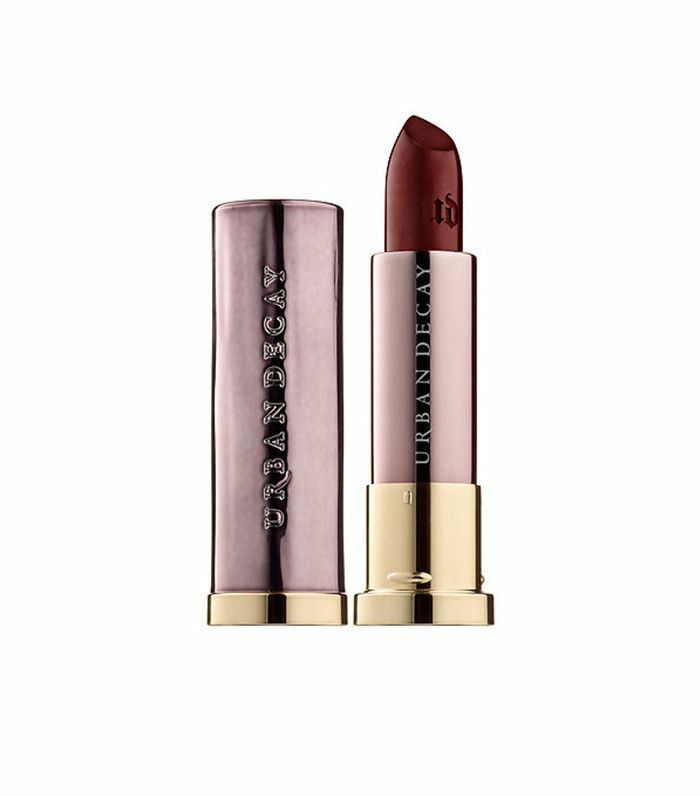 Lipsticks in hues that pay homage to full-bodied Bordeaux and spicy Syrahs promise a beautiful finish when it comes to a dramatic beauty look. Yet as much as we love a deep pout in the same shade as our perfect pour, wine-colored lipstick can be intimidating to select and apply. We tapped celebrity makeup artist Nick Barose to assist us in the endeavor and take a turn as lipstick sommelier. 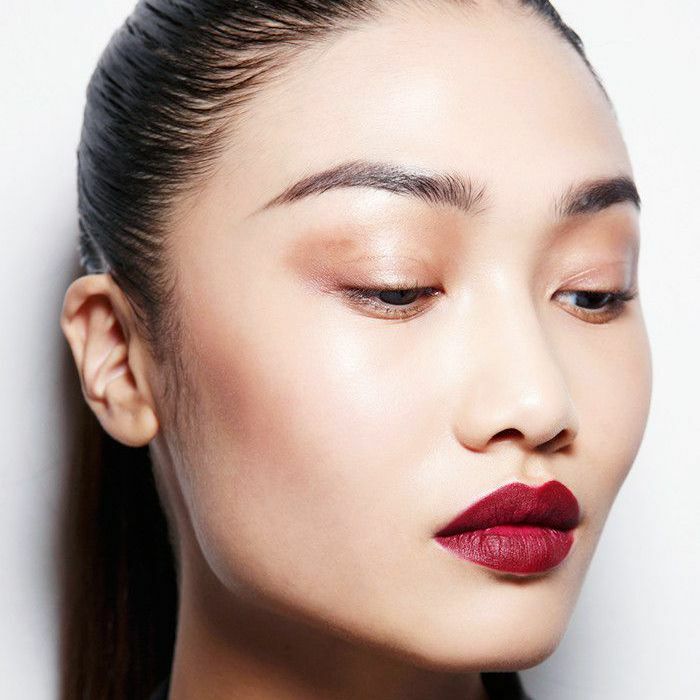 Here he spills his best tips for determining just which shade of wine-colored lipstick to pair with every skin tone, as well as everything you need to know for a flawless application. For starters, Barose says that rocking a wine-colored lipstick is "all about the attitude." Because it's so dark, it's tougher, edgier, and harder than its basic red alternative. As Barose puts it, it's "not what you pick when you want to be pretty." While committing to a wine-colored pout can be intimidating, Barose notes that the upside is that as far as the color goes, it reads much like a neutral and works with a lot of different skin tones. Keep reading to discover the perfect pairing for every skin tone and take note of all of Nick Barose's tips. Barose notes that many fair-skinned women are intimidated when it comes to going bold with a dark lip, worrying the contrast will be too severe. "Something that's more of a plummy wine looks great on fair skin," he suggests, advising that one must be careful it doesn't turn into a dark red. On the other hand, don't go too dark as you don't want the color to read like a black or brown. Application is the key to achieving a quality dark lip look, especially on lighter skin. If the lines are too perfect, the look will come across as high-maintenance and harsh. As Barose puts it, you don't want to end up looking like Cruella de Vil, "you want to look like a badass." Barose avoids the too-perfect look by applying the color directly from the tube and using Lancôme Le Lipstick Waterproof Lip Pencil in Clair ($26) to prevent feathering. For medium skin tones, Barose says you want to stick to a burgundy. This will provide that robust wine color with a little bit of a brown to it and the warmth complements the skin. With any skin tone, it's especially important to make sure application of these dark, bold hues is even and symmetrical. Barose says a trick he learned from his mom and still uses today is to always apply the lipstick from the center and work your way out. "When you're working with a bold lip color, if it's not symmetrical you can really see it," Barose says. Once you've applied the color directly, you can go back in with a lip brush (Barose's favorite is Chanel's angled version) and clean up the edges as if the lipstick were a liner and get into the corners and hard-to-reach areas. 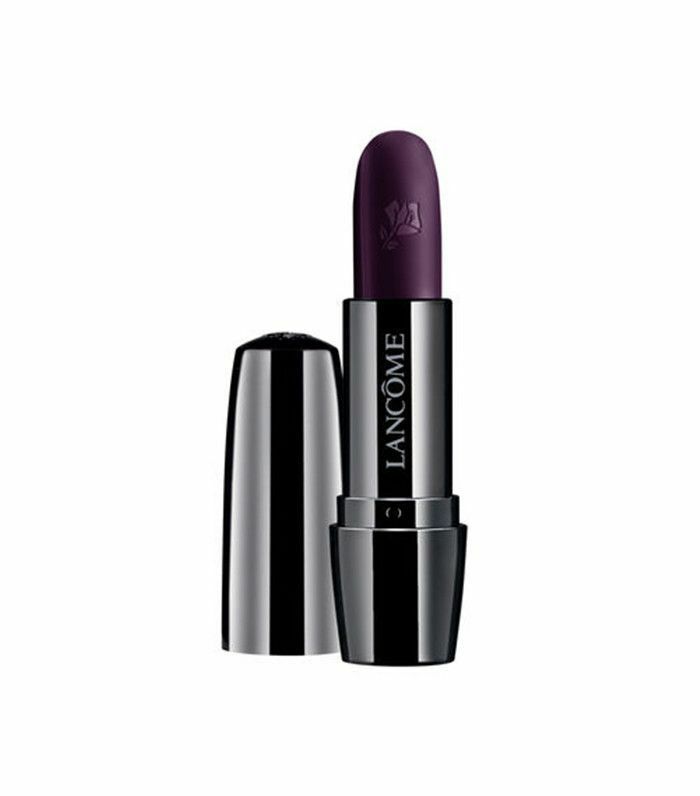 Sometimes a dark plum can disappear into darker skin tones, so Barose suggests a lipstick that looks almost black but has a plum undertone. If you can't find one that's dark enough, Barose says you can use a chocolate brown lipstick or even an eyeliner pencil as a base coat to fill in the whole lip. The biggest thing to avoid is going too light. 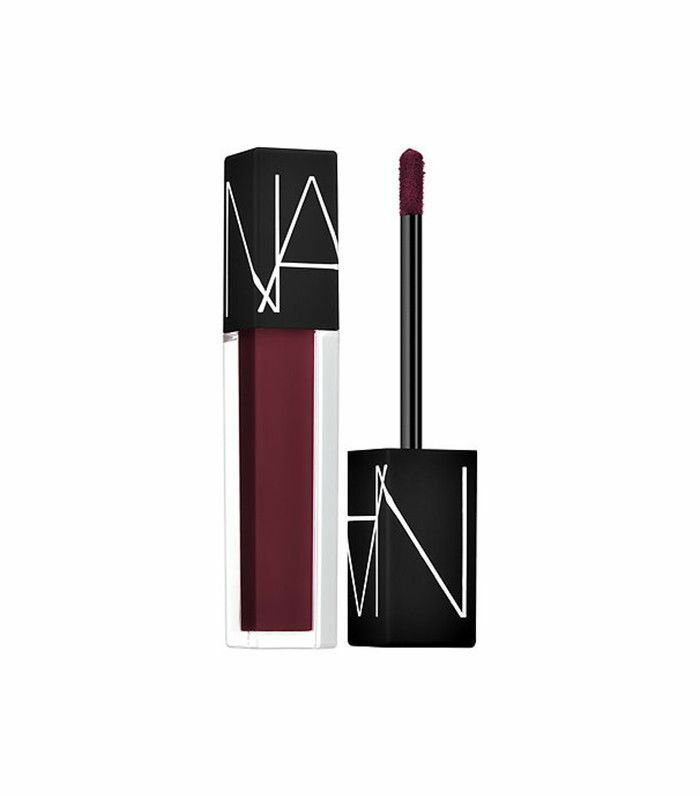 "A lot of the plum lipstick options can end up looking more like a berry when applied as opposed to something darker with more attitude," notes Barose. On darker skin, the more matte the better. Barose also underscores the importance of prepping the lips, especially for dark skin tones where a dark lip can slip off and smudge easily. He says to avoid heavy lip balm which can interfere with the texture and can feather, instead opt for non-greasy option (his favorite is Kiehl's Facial Fuel No-Shine Moisturizing Lip Balm ($9)) that adds hydration without the waxy or greasy finish. Share your favorite wine-colored lipstick with us in the comments, and then shop more must-have lipsticks in the coolest fall shades.